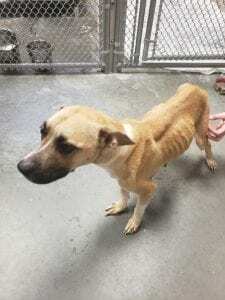 Currituck County Department of Animal Services and Control responded to a complaint of poor animal living conditions on Sunday and seized 21 dogs from a home in Currituck. The pets included three mothers and 18 puppies. They are now being cared for at the Animal Shelter and cruelty charges are pending against the owners. All of the dogs are doing well. The puppies are healthy and have been cared for with deworming and othe treatments. 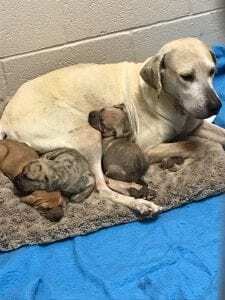 They are with their moms in spacious, warm kennels at the Animal Shelter with plenty of food and water, and a lot of attention from Shelter staff and volunteers. At this time, none of the dogs are available for adoption because the case is still active and charges are pending. Information on the possibility of adoptions will be posted when it is available. Please consider donating: good quality puppy food; wet food; puppy toys (for teething and such); flat sheets and blankets. For more information or to donate call Animal Shelter at 252-453-8682. Start prosecuting pet owners who treat their pets this way. Seeing the ribs on that poor creature is heartbreaking. These are living creatures jail and fine the owners, end of story !